Problem is that the story is kept too simple. It's a basic story about good versus evil. And nothing more. Being familiar with Marvel comics that is a bit disappointing since Marvel usually also focus on good characterization and depth in arching story lines to give you subjects to chew on besides the main story. The sequel to Thor is lacking in that aspect but in this case not entirely a bad thing. On the contrary. The Dark World has improved on the first one considerably and we finally get to see Thor in action as he is supposed to. To witness him flying, spinning his hammer and basically show why Thor is a superhero not to be messed with was incredible fun. Where the original was a bit too slow and missing some hard hitting action this sequel is compensating that with a fast pace and sequences packed with epic action that impress while they last. You don't actually get time to let the events sink in which is good since then you won't notice how little story there actually is. While the title suggests other wise. There is much more humour in this part which made it so much more appealing than the original. It was more similar to the comics than it was previously which is a good thing. I was also glad to see despite the lighter tone there were still enough darker moments present. Although in these moments it really becomes apparent that Thor The Dark World could have used a little more depth. That being said I thoroughly enjoyed it from start to finish. 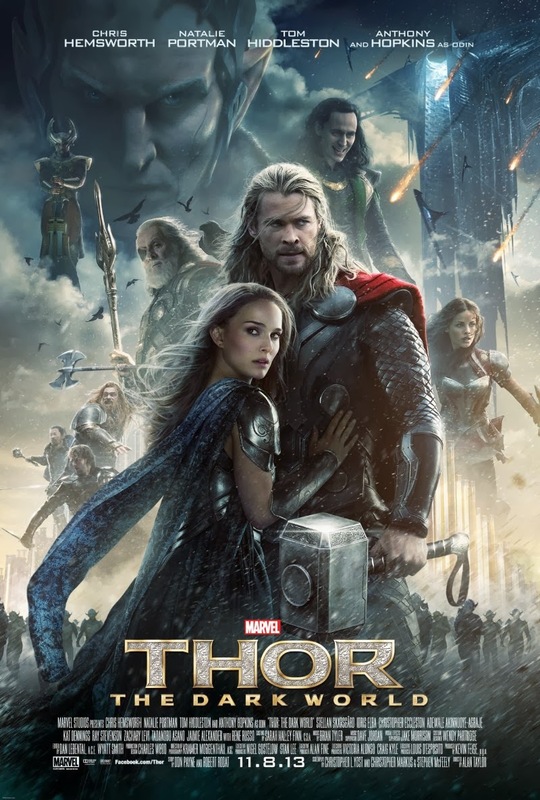 Only take in account that most of Thor in this case is forgettable fun and entertainment. Nothing more or less. Which for me is how blockbuster movies should be. I never expected more of it and therefore I was able to enjoy it so much. Also I like to add that this film is an example of how you should bring action and spectacle. Just enough to impress but knowing when to tone it down before it kills the senses. There is only so much one can handle. It also shows that it is important to have characters you care about. Man of Steel is an example of how not to do it. Too much action and no likeable characters at all. In case it was not clear enough I prefer something like Thor: The Dark World like over pretentious crap like Man of Steel any day.